Join us for the second annual MCDS Prairie Hawk Open on August 3, 2015 at Bishops Bay Country Club. 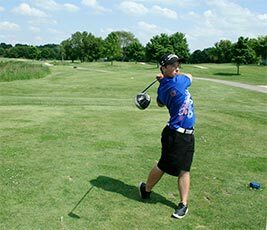 The golf scramble, silent auction, and dinner is a fun-filled, no talent required event where birdies, bogeys, and boosters join to support MCDS Athletics. Registration includes lunch, 18 holes of golf on one of the area’s most beautiful courses, goodie bag, and dinner. Individuals that are not interested in golfing can still support MCDS Athletics by joining us for dinner. Supporters registered before July 4 will be entered for a special Early-Bird raffle drawing. To register and/or sponsor the event, please use the registration website or mail in the event brochure to Jeremy Clements, MCDS Athletic Director. All of the funds raised by the Prairie Hawk Open go directly to MCDS Athletics to support coach development, team expenses, and other needs of the Athletic Department.